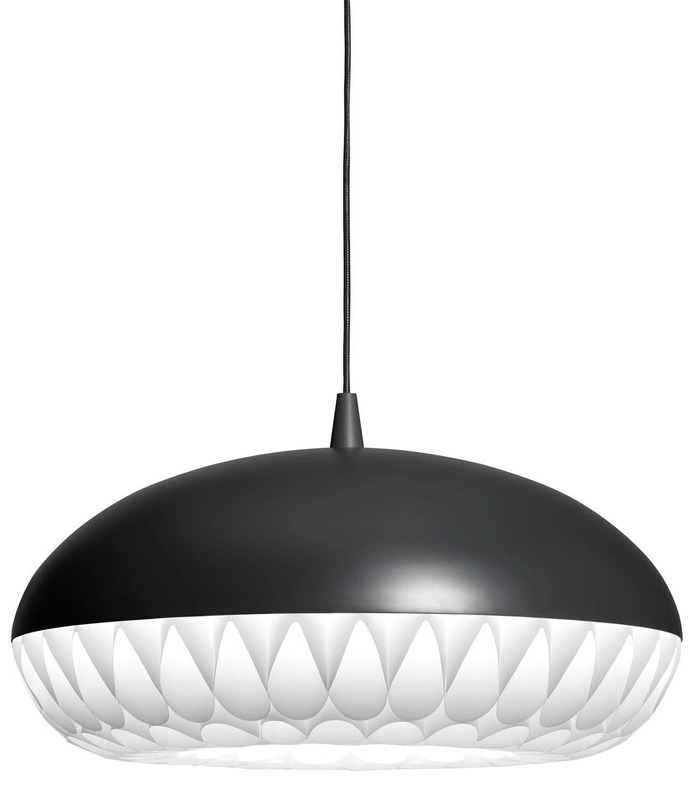 Aeon Rocket by Morten Voss is a series of beautiful, harmonious and striking pendants. 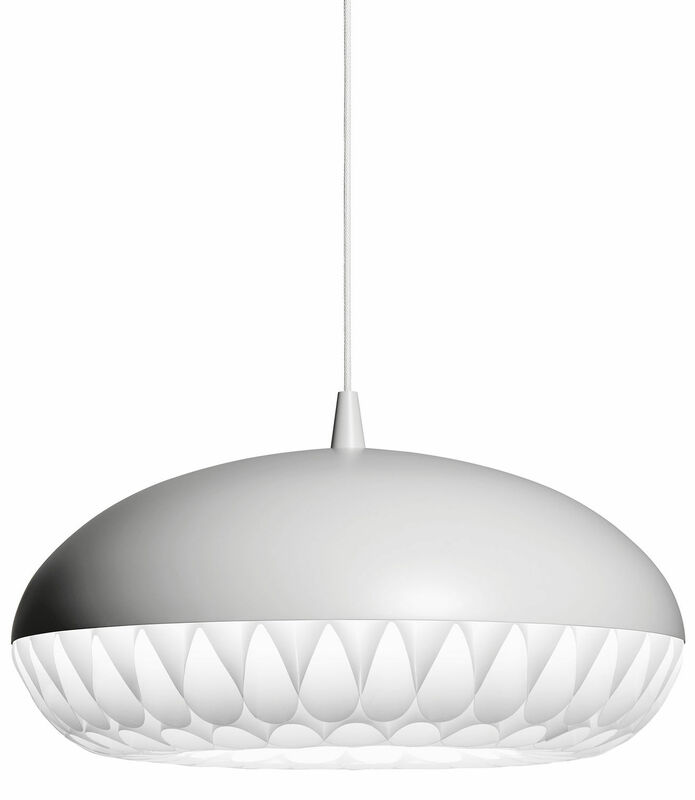 This is the first pendant in history to take full advantage of the luminous qualities of metal and polypropylene in a single design. 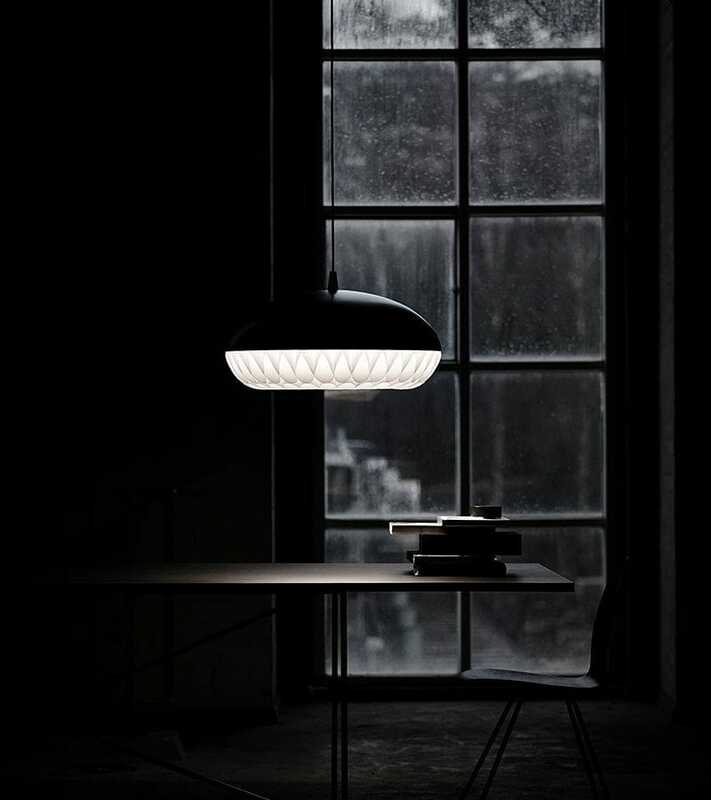 The simple upper shade ensures plenty of light downwards, while the lower shade in polypropylene illuminates and diffuses the light. The gauzy lower shade consists of 8 long bands, carefully woven together to create round openings, allowing the light to stream through unhindered. 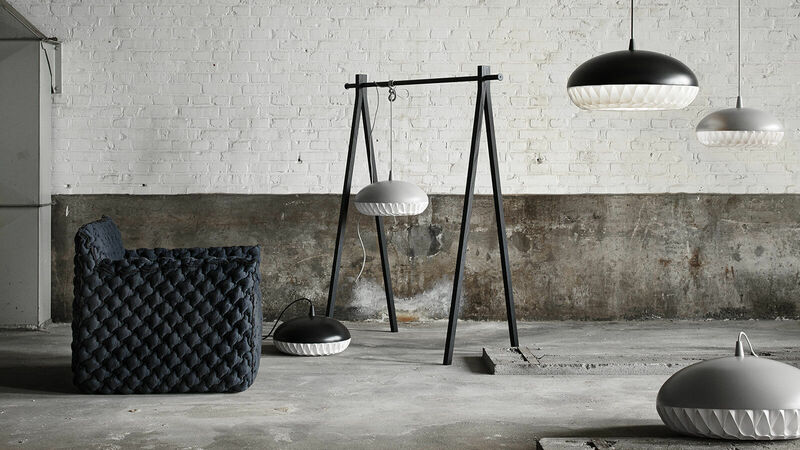 Suspending the lamp from on high allows you to take advantage of the matching diffuser to prevent the light source from being visible.